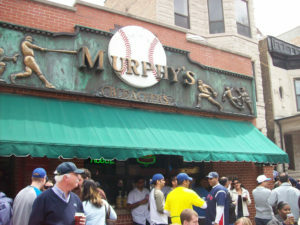 Murphy’s Bleachers, one of the most community-supportive businesses in the Wrigley area, shows their commitment to our neighborhood again. As an article in the Columbia Chronicle describes, they are funding over $20,000 in Donors Choose requests to give back to the community and show their continued support! Murphy’s Bleachers has always been a strong supporter of East Lake View Neighbors with their continued involvement and by the late Jim Murphy generously founding our annual Oktoberfest fundraiser, for hosting it at no charge for the past 18 years! We would like to acknowledge their generosity and thank them for all they do toward the betterment of our community and for being such great neighbors. This entry was posted in Community News and tagged Murphy's Bleachers on November 30, 2016 by elvn_updates.